So, in case you didn't hear Reddit just completely explode, Stephen Colbert has officially been named as the heir to David Letterman's Late Show. Sure, we would have loved it to have been a woman, but Colbert is certainly more than qualified for the job. What's not clear, however, is what kind of late night talk show host Colbert is going to be. Most late night talk show hosts come from the world of genial standup comedy: Jimmy Fallon, Jimmy Kimmel and Jay Leno. And although the newly-minted Seth Meyers got a bit political on Weekend Update, the humor was usually light enough as to not offend members of either party. Colbert, however, comes from a relatively new world, the world of the comedy news show (which almost exclusively lives on Comedy Central). These shows are a lot more biting and political than the middle-of-the-road jokes on Weekend Update. 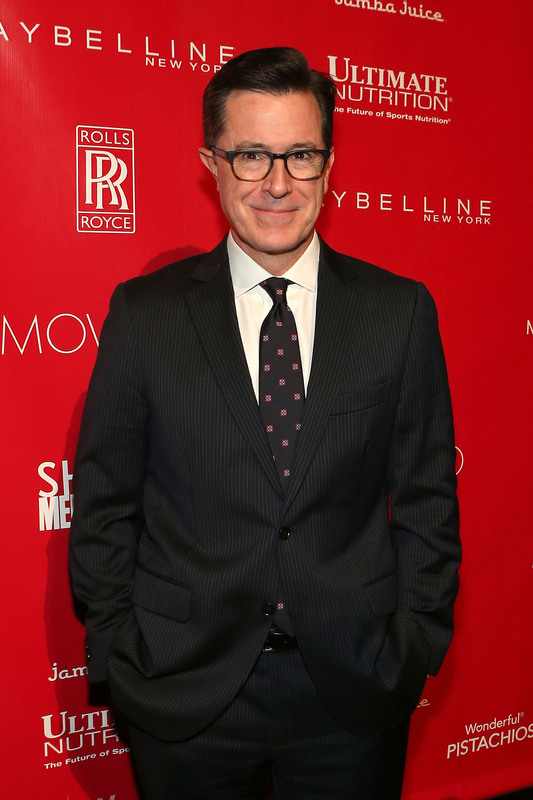 So will Colbert's new gig make The Late Show more political? It's assumed that Colbert will change a lot of things for his late night hosting job — he's already stated that his satirical conservative persona will have to go. But there's a good chance that Colbert will be taking some of the writers and producers from The Colbert Report with him when he makes the move from Comedy Central to CBS. And while Colbert never explicitly revealed his actual political leanings on his show, it's clear from his biting satire of the right that he leans heavily to the left. And if he brings his creative team with him on The Late Show, they'll likely lend many of the same on-point political jokes on that show as they did to The Colbert Report. Of course, it's highly likely that Colbert could tone down the political jokes for The Late Show. But while appearing more middle-of-the-road for CBS might benefit network ratings, it'd also be hard for Colbert to keep his old audience by ditching the wry political humor that makes The Colbert Report so great. But one thing's for sure, whether Colbert decides to continue to lampoon Washington or no: his entrance onto network late night could very well change the tone of basic cable after 11:30 p.m. as we know it.